This is a pretty random tutorial for you. 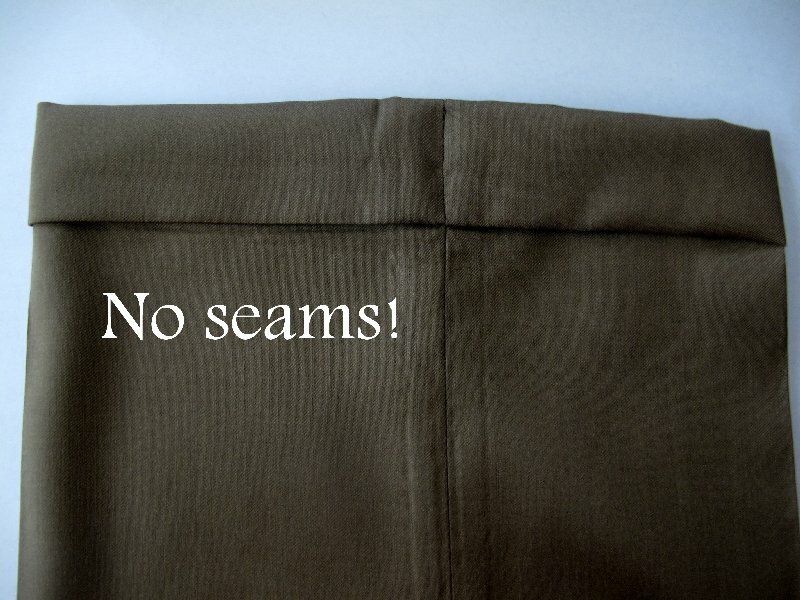 The hem in my dad's dress pants had come undone and so he asked me to hem them for him. If you don't know much about sewing, this isn't something that you can just whip out on the sewing machine. It must be hand sewn with a whip stitch. 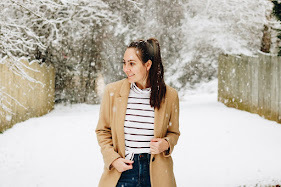 I don't claim to be anything close to a professional seamstress, but I thought I'd post a little tutorial on how I fixed up the pants anyways. 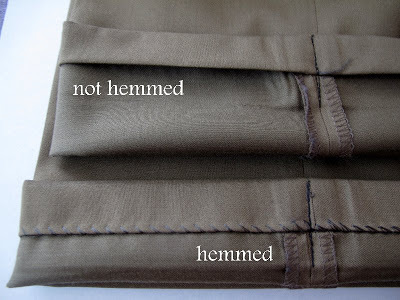 This is just my interpretation on how to hem pants without the seam showing on the outside (I'm sure there are those out there that could tell you a different way to do it). 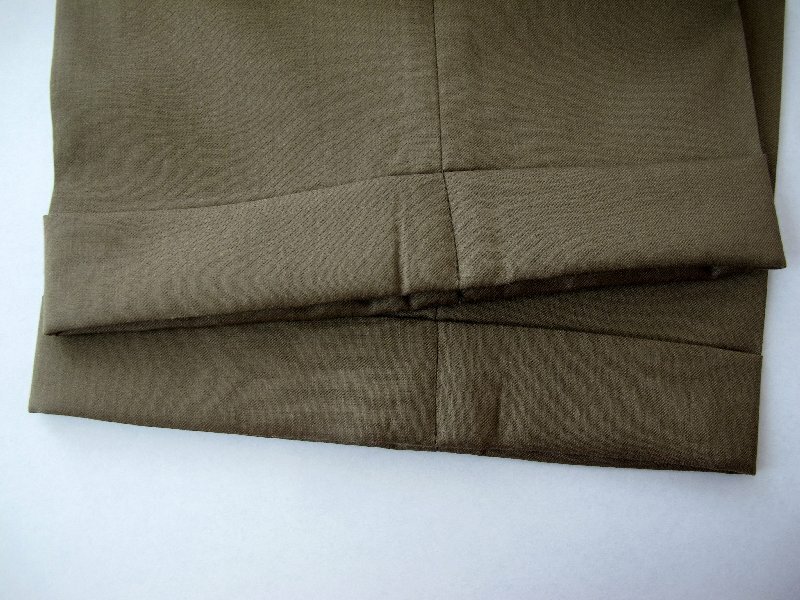 Here are the pants from the outside, with a built in cuff. One of the legs is still hemmed. The other leg has come undone. Thread your needle with a matching color thread. Turn the pants inside out. Insert the needle into the back side of the cuffed edge and pull through. 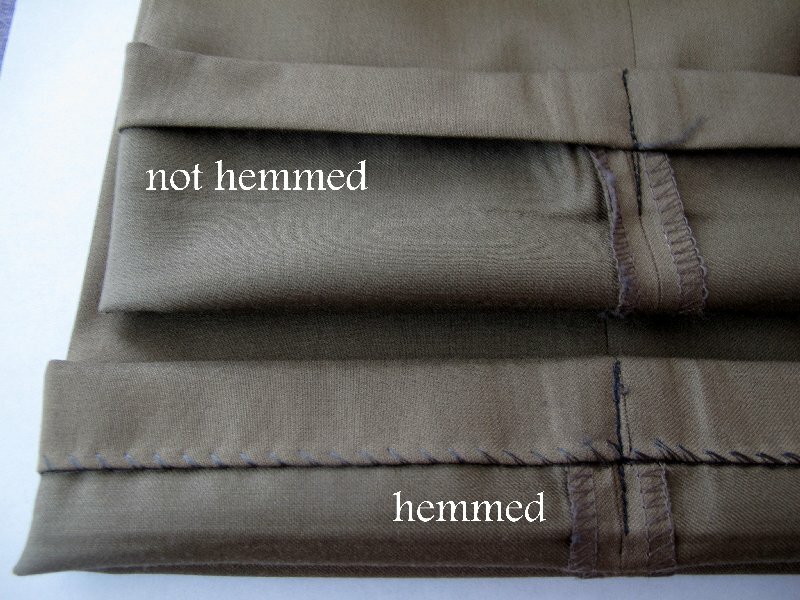 To make your next stitch, you must first hold down the thread that was just pulled through the cuff with your thumb. This way, your needle will come through on the right side of this thread when making the next stitch. This creates the "whip." 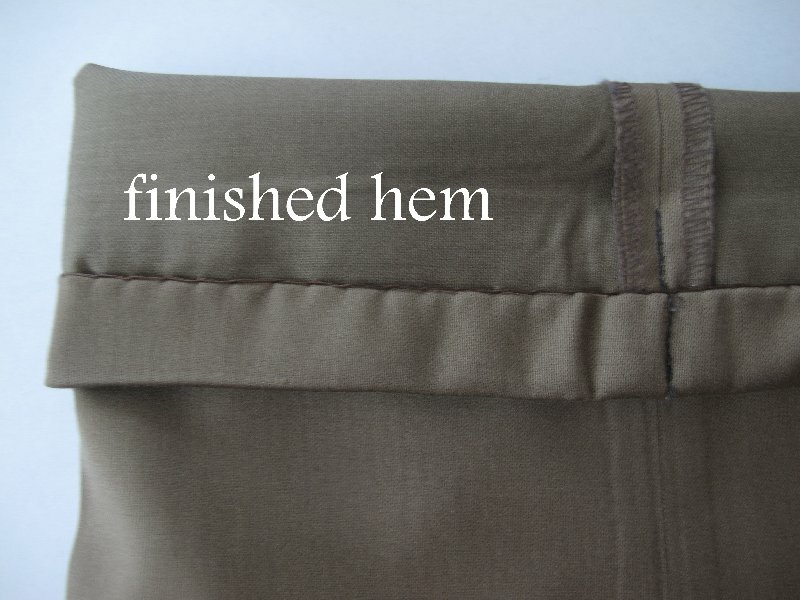 To make the next stitch, you will again insert the needle into the back side of the cuff. 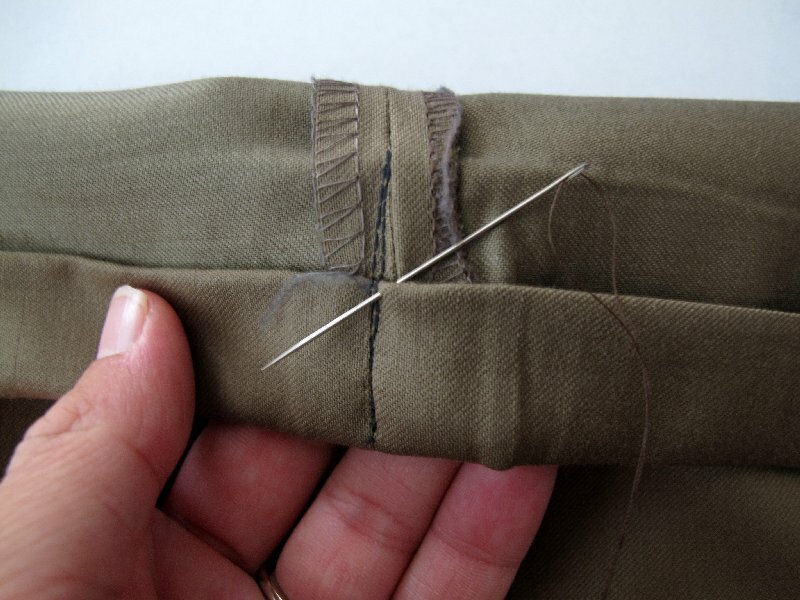 This time, you will grab a thread or two from the actual pants before placing the needle through the cuff. You must only grab a small thread! If you grab too much, your thread will show on the outside of the pants. 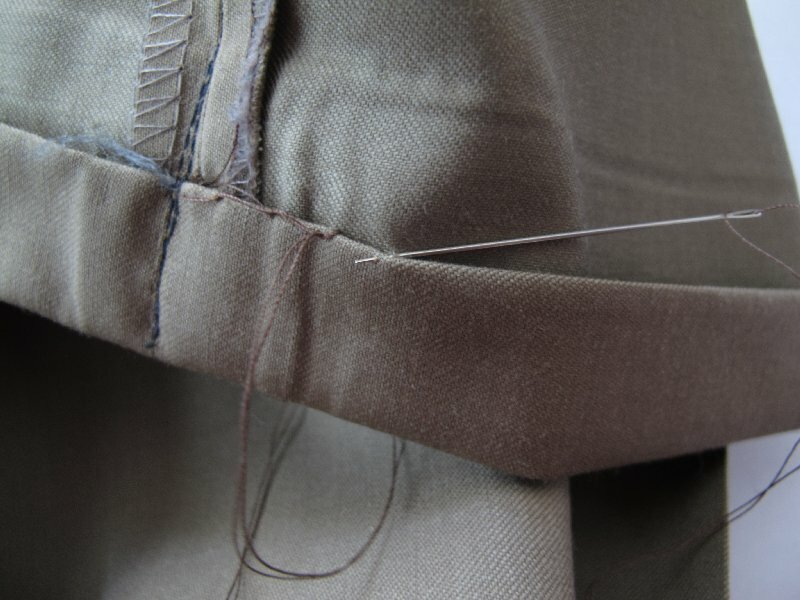 Pull the needle and thread through, making sure it comes through on the right side of the previous stitches thread. 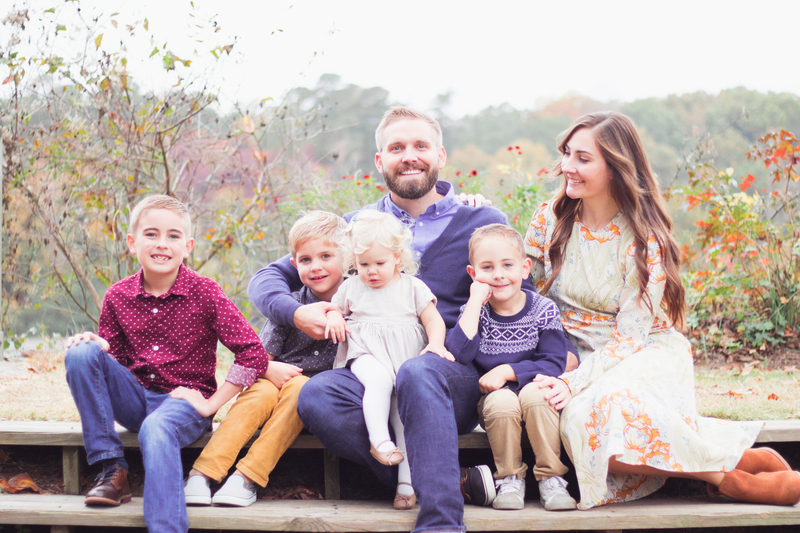 Continue this process all the way around. This is really an easy fix, especially if you already know how to create a whip stitch! 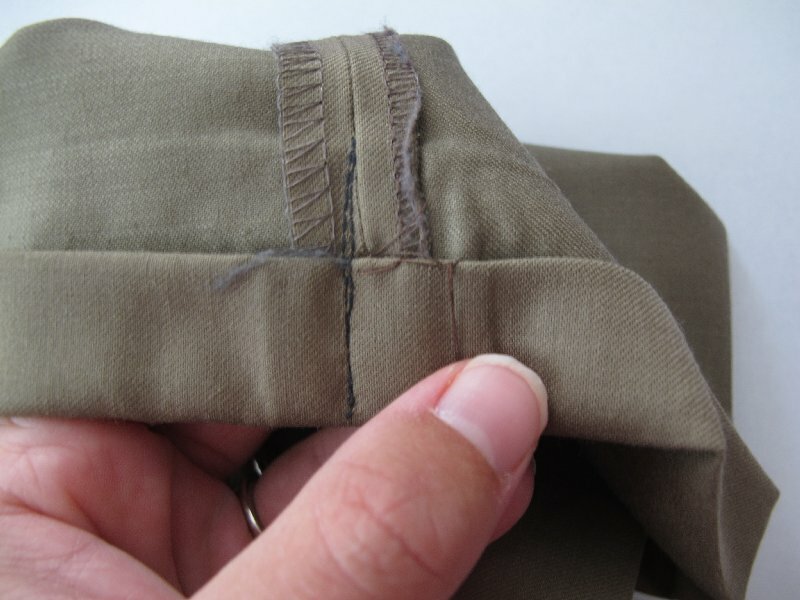 To make sure there are no visible seams on the outside, you simply must remember to only grab a thread or two when making the stitch on the inside of the pants. Now you can go and impress your husband!